Myke has been training Brazilian Jiu-Jitsu and submission grappling since 2006. He joined Team ROC in 2009 and received his blue belt from Greg Thompson shortly after. In 2011 he was awarded his purple belt by Royce Gracie. In 2014 he received his brown belt and in July 2018 he was promoted to black belt by Greg Thompson. Myke is a black belt under Royce Gracie, under Greg Thompson. 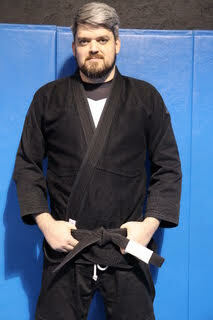 Myke is one of our assistant Black belt instructor for the Adults BJJ classes.